Get out of the urban sprawl and check out O‘ahu’s west side. It’s a trek, but once you get to the KO OLINA RESORT, you’ll feel like you’re on another island. Swim in one of the four lagoons (be aware that there is limited parking and no lifeguard on duty), or take advantage of any of the activities available at the resort: boat charters for fishing, luxury ocean tours, snorkeling or whale and/or dolphin watching, golf, spa offerings and more. There is a rather rich history to be uncovered at MAKAHA BEACH; just head out, park your car, set up some shade and enjoy the sparkling waters, gentle waves (which can get huge in wintertime) and listen to the locals. Makaha played a part in the rise of surfing as a global phenomenon, with some of the most-storied watermen (Buffalo Keaulana is one example) coming from these hallowed grounds. you conquer turns, ascend hills and explore an open, earthy plateau. Visit coralcrater.com for details. And for a unique Hawai‘i experience, visit NAKED COW DAIRY farm and creamery. A fully functioning dairy farm in Wai‘anae, Naked Cow Dairy boasts a scrumptious line of butters, artisan cheeses, milk and cream top yogurt—all natural, antibioticand hormone-free. Naked Cow Dairy also offers tours of its farm by appointment. 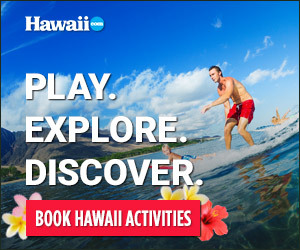 Visit nakedcowdairyhawaii.com for details. New to the area is Manulele Distillers, producers of Ko Hana Rum, that’s handcrafted in small batches at its Kunia location. Check out the Ko Hana Rum Tasting Tour that gives guests a first-hand look at the process from beginning to end. Farther down the road—at the end, literally—is scenic KA‘ENA POINT. The site of some challenging rock climbing, hiking and mountain biking, this is the “end of the line” on West O‘ahu.